Why Do Software Development Companies in the Netherlands Outsource? 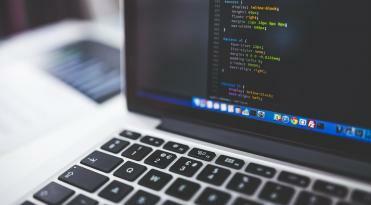 Home Blog Trends Why Will Software Development Companies in the Netherlands Outsource More in 2018? According to Mainsoftware50, the software industry continues to be a driving force for an increasing number of companies being set up in the Netherlands. In 2017 the software development sector grew by 5% and is predicted to grow another 4.5% in 2018. As a result, software development companies in the Netherlands are continuing to grow but also outsourcing software development to other countries in order to optimize cost and combat local tech talent shortage. Which Industries in Dutch Software Development Are the Most Popular? Talent Shortage: 4 out of 10 Entrepreneurs Say They Have Problems Finding the Right Talent. Why Will Dutch Companies Outsource IT services in 2018? 5 Reasons to Build Extended Development Teams with Daxx. The Dutch tech scene is considered as one of the strongest in Europe. According to Holland Trade and Invest, the Netherlands has generated globally-competitive software programmers and IT consulting in a variety of sectors including business, simulation, mobility, healthcare, and safety. No wonder that in such a fast-growing and constantly evolving environment, the Netherlands is considered as one of the four largest IT service providers in the world. Sixty percent of the companies mentioned on the Forbes 2000 list are located in the Netherlands. These companies include Cisco, Oracle, Google, Microsoft, IBM, Intel, Verizon, Huawei and many other global players. Amsterdam alone is home to more than 800 startups and 170 different IT companies. Software development sectors in the Netherlands are characterized by the development of cloud computing and the digitization of the economy. In order to handle the pace and growing demand for software development services, the number of software development companies in the Netherlands is growing as well. The software development sector growth is predetermined by the development of cloud computing and the digitization of the economy. The software development sector is growing at an accelerating speed. Dutch software development companies specialize in producing application software (67%) and system software (33%). One of the fastest growing sectors is security software. This growth can be partially explained by this fields rising complexity and an increasing number of technological threats. Starting in January 2016, Dutch companies are required to report data about leaks and hacks that could affect other users. Additionally, the Netherlands has taken a leadership role on the recently adopted EU directive for data protection and IT security. The software development sector in the Netherlands is divided into corporate and local software development. Software development companies in the business sector generally provide services in data analysis and information sharing. As a result, this facilitates the growth and usage of software development in government and financial sectors. In comparison, local software development concentrates on business applications and custom products. What Are The Most Common Challenges for Software Development Companies in the Netherlands? Finding the right personnel and tech talent shortage remain the most time-consuming challenges when it comes to software development growth. 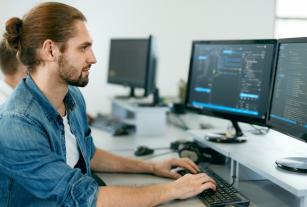 In 2015, 2 out of 10 Dutch entrepreneurs experienced talent shortage and considered it the main barrier to the expansion and development of the software development sector. Today this number has grown to 4 out of 10 employers experiencing talent shortage in the Netherlands. 4 out of 10 business entrepreneurs consider talent shortage as the main barrier preventing the development and expansion of the software development sector. Due to the fast pace of the software development industry and labor shortage, a growing number of mid-sized companies are continuing to outsource their IT work. Other factors are also contributing to this hunger for IT outsourcing. There is a strong need to focus more on core business principles, improve service quality, reduce costs, and access to resources, innovations, etc. Jurgen Delfos, the CTO at Carerix, shares his perspective regarding innovations: “As a small or medium-sized business, you should and must outsource. You simply don’t have enough people to shake things up and innovate. See outsourcing as an advantage not in terms of money, but in terms of flexibility and manpower. According to the Dutch Outsourcing Study 2018, 81% of companies confirmed that they will continue to outsource IT services at the same or at an increased pace. The graphs below clearly shows that 42% of Dutch companies are guaranteed to outsource more, 39% will outsource at the same speed and 19% will not outsource or are still unsure. Daxx is a Dutch software development company with nearly 20 years of industry experience. It helps companies build dedicated software development teams thanks to Ukrainian tech talent. Moreover, Daxx assists businesses in selecting the right technology, conducting code reviews, discovering security issues and providing other value-added services. Tell us who you are looking for. First, Daxx recruiters gather all the information and requirements for your project in order to understand your business needs and find suitable candidates, that possesses the required technologies, background and experience. Recruitment stage. Once we clearly understand what type of candidate you need, we carefully examine our database in order to choose ideal candidates for you. You interview the candidates. Next the client personally interviews all of the suitable candidates. The good news is that you are not limited to a certain number of interviews - we will not stop until we find the best candidate for your project. Start working. Immediately after the candidate has signed the offer, you are able to start working. We will handle all of the administrative and legal issues, paperwork, employees retention and provide well-equipped working spaces, while you are able to focus more on your business. 1) Transparency. The extended team model, which is used by Daxx, is clear and simple. You manage your development team directly, without third-party interference using the tools and methods you know and love. You personally interview the potential candidates and choose the one you consider the best candidate. You are able to hire a single programmer or an entire development team depending on your needs. We came to the conclusion that Daxx’s offering was best. They were able to recruit the exact kind of talent we were looking for. 2) No upfront costs. You only pay for the services you actually use. According to the Daxx model, you are not required to pay any upfront costs. You pay only a fixed monthly fee after you sign the contact and start working with the software developers you have chosen. 3) No fees required in order to terminate your contract. It is easy to scale up or down your software development team. Thanks to our model you can easily terminate the contract - just notify us 1 month in advance. 4) Professional candidates. The team at Daxx carefully pre-selects the candidates for you, taking into account all of the requirements that you have provided our team. You will save time by interviewing only the top candidates. Ukrainian developers are known for their diligent work ethic, strong programming skills, and English language skills. Check out the following article if you are planning to hire offshore developers. The commitment of our Ukrainian developers is something I am very pleased with. Our problems are their problems too. I’m very happy with my development team. As a Dutch legal entity, Daxx simplifies the contract process for Dutch clients. Additionally, Daxx is a member of the American Chamber of Commerce in Ukraine and the IT Association of Ukraine. It has been awarded the “Orange Carpet Treatment” by the Dutch embassy. In 2018 Daxx was certified by TÜV SÜD according to ISO 9001. Read about Daxxto learn how you can handle the tech talent shortage in the Netherlands, receive benefits and extend your tech expertise.